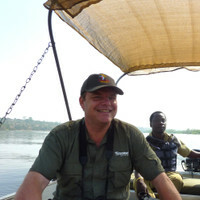 Sander is our Destination Expert in Uganda. 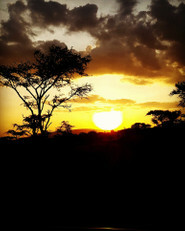 "This trip to Uganda with my 18 year old son was extremely satisfying for both of us. He enjoyed the ...". "every was ok the guide was very competent". 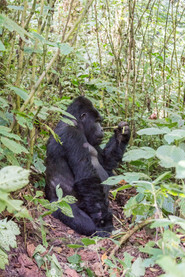 This 8-day safari is perfect for the experienced traveler who wants to see Chimpanzees and Mountain Gorillas in their natural habitat. Additionally, you will go on a Lion Tracking Experience with a research team at Queen Elizabeth National Park. In only 8 days you will experience most of Uganda's Highlights. Upon arrival at Entebbe Airport, you will be met by the guesthouse driver. Set Off For Kibale Forest National Park! After breakfast, you will set off for Kibale Forest National Park. The journey from Kampala to Kibale takes approx. 4 hours. The trip is long, but also very nice with a beautiful changing landscape and amazing views over the hills and mountains. On your arrival, you will enjoy lunch and then start the Bigodi Wetland hike. During this walk, you will see many different birds species and several monkeys. Today, you will search for the Chimpanzees in Kibale Forest National Park. First, you will visit the ranger post in the park for a brief talk, then the walk starts in the rainforest. The walk can be heavy at times, so wear good shoes and bring a poncho. Try to keep quiet as you’ll have a better chance of meeting the chimps. The rangers are experienced in tracking so the chances are very high. After the Chimpanzee Trekking, drive to Queen Elizabeth National Park to stay at the Bush Lodge. Your day starts with Lion Tracking. You will go with a member of the Research Team to track to a group of lions using radio tracking, making it possible to get up close. You’ll learn about the lions' role in the eco-system and the challenges the lions and the local population face living together. After the tracking at 2:00 pm, you will take a boat safari on the Kazinga Channel. Around 5:00 pm you will be back at the lodge. Today you will explore the Southern Part of Queen Elizabeth, Ishasha to Bwindi. In the Ishasha area, you can go on a short game drive to search for the famous Arboreal Lions. Then, at the end of the afternoon go to the Broadbill Forest Camp on the edge of the National Park. Today is a day of Gorilla trekking. After breakfast, you will go to the ranger post for a briefing. 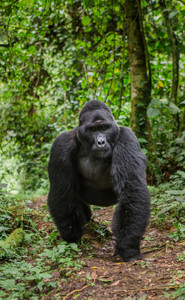 After the briefing you will begin the search for the imposing mountain gorillas. Depending on the location of the family group the trek can take several hours. The landscape is mountainous so take good walking shoes. The trek, however, is beautiful. After this exciting day and unique experience, you will have time to relax at the lodge, explore the camp and take photos. Today you will head to Lake Mburo National Park. The park is famous for its large herds of zebras, and recently groups of giraffes can be seen. At the end of the day, you will check in at Rwakobo Rock. After a walking safari, you will drive back to Entebbe today, where your journey through Uganda started. Depending on your outbound flight you will have some time to spend in Entebbe. Safe travels home, and visit again soon!